Former Australian great Greg Chappell has bashed the visiting Pakistan side for their performances Down Under in their on-going tour, asking Cricket Australia to stop inviting them. Chappell has criticized Pakistani skipper Misbah-ul-Haq for failing to provide inspiration or leadership to the team. “Pakistan have now lost 12 Test matches on the trot in Australia, and somebody’s got to give them a kick up the bum. Cricket Australia have got to start saying ‘listen if things don’t improve we will stop with the invites’,” Chappell told ESPN. 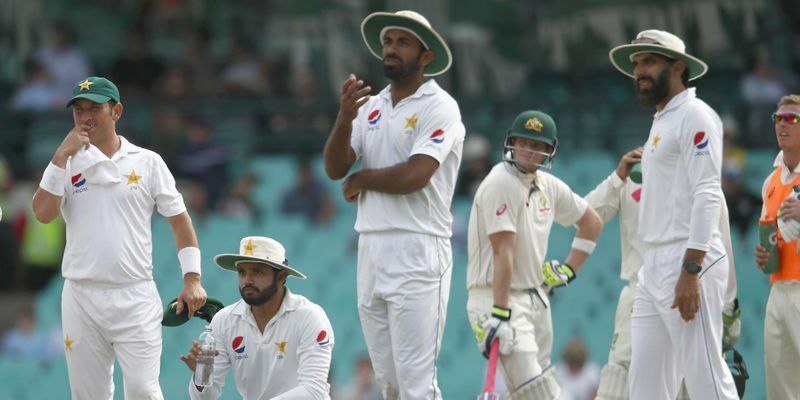 Pakistan have lost the three-match Test series against Australia 3-0. Except for the first Test at Brisbane, where they showed a lot of resilience in the fourth innings while chasing a target of 490, Pakistan have failed to provide any challenge to the Australians. “You can’t continue to [play poor] cricket. You can’t bowl poorly, have conservative field placings and field sloppily and expect to play decent cricket in Australia,” Chappell added. A lot of their struggles were because they had no leadership. Chappell has also criticized Misbah-ul-Haq, who has struggled with the bat on the tour, for failing to provide any sort of inspiration to his team and has asked for a change in captaincy. “A lot of their struggles were because they had no leadership. There was no inspiration from Misbah, so things have got to change in Pakistan,” he said. Pakistan will now face Australia in five ODIs with the first match scheduled to be played on January 13 at Brisbane.